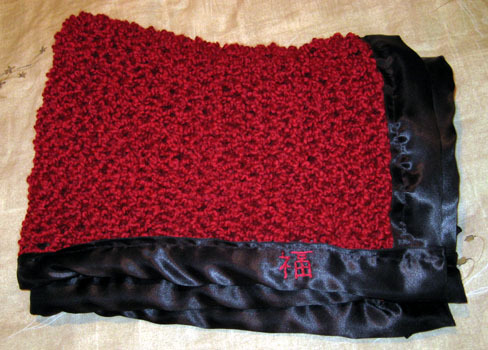 I made the Satin-Edged Blanket from Knitting for Two for a former professor’s baby, due in December. 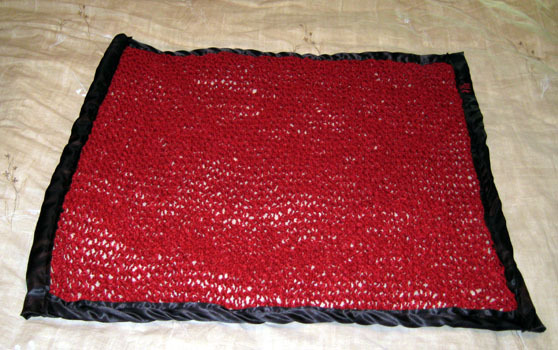 The yarn is Lion Brand Homespun 98% acrylic / 2% polyester in Candy Apple (375). 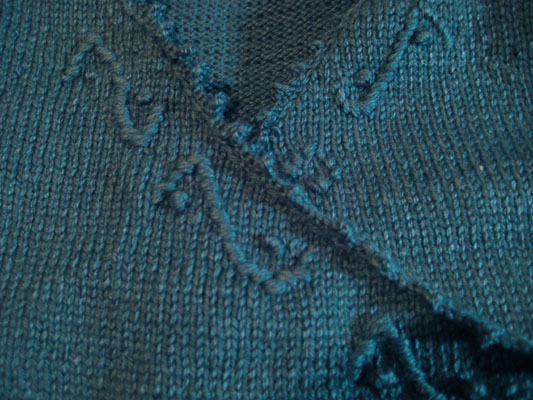 I used US 15 and US 19 needles. 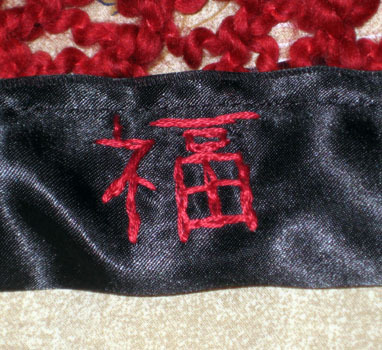 I embroidered the Chinese character for luck in one corner. The ribbon was actually 4″ wide instead of 2″ like the pattern called for. 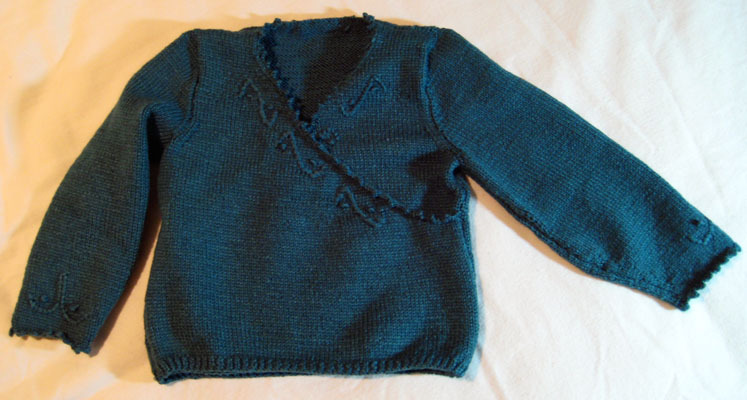 I made the Silky Wrap Sweater from Knitting for Two for Sasha. The yarn is Knit Picks Gloss 70% merino wool / 30% silk in Woodland Sage. I used US 1 and US 2 needles and made the 22 inch chest size.